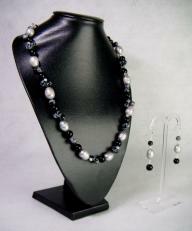 Oodles of faceted glass crystals in shades of black and pyrite have been interspersed with gunmetal colour faux pearls on this truly opulent stretchy bracelet and earring set. 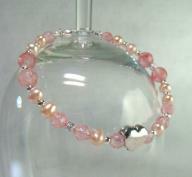 The bracelet looks small when it is off the wrist, but slip it on and the beads obligingly rearrange themselves, it's so comfortable to wear. 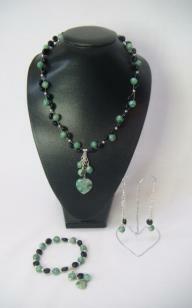 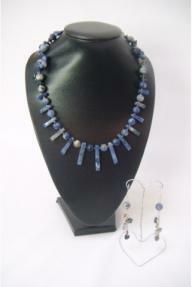 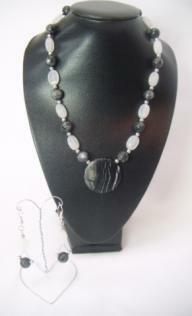 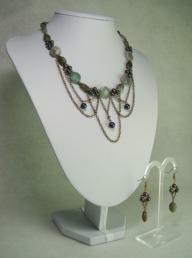 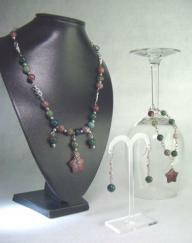 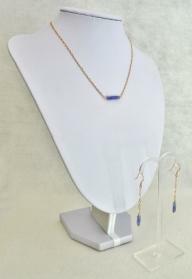 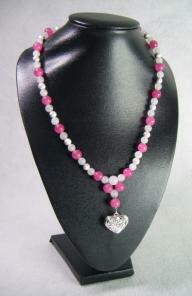 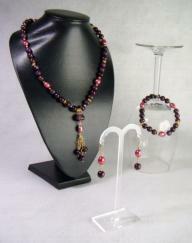 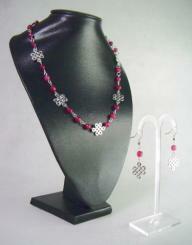 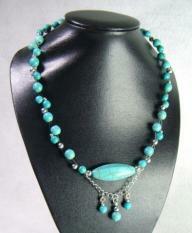 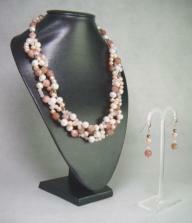 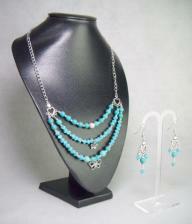 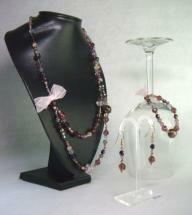 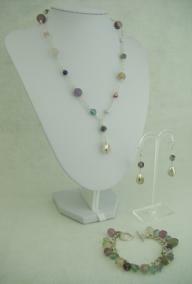 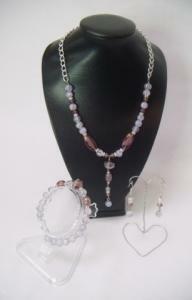 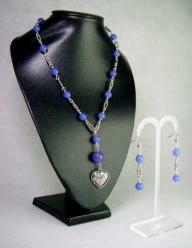 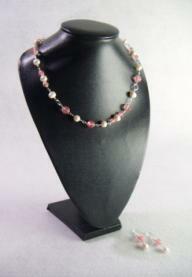 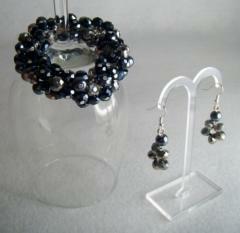 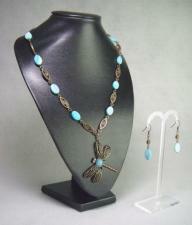 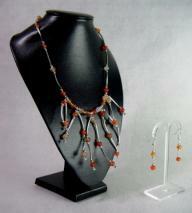 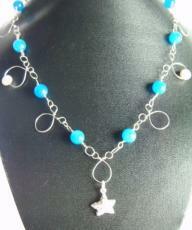 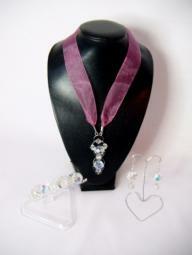 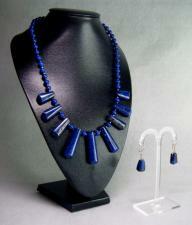 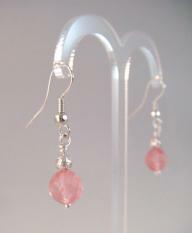 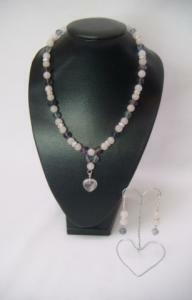 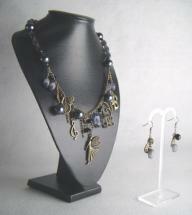 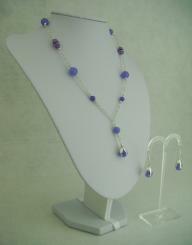 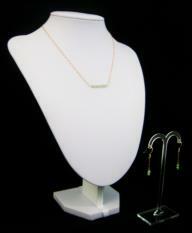 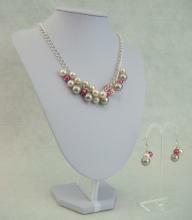 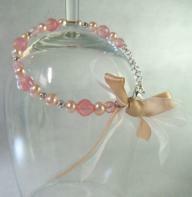 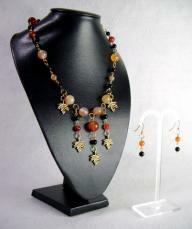 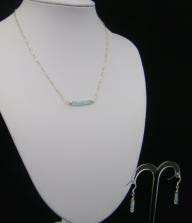 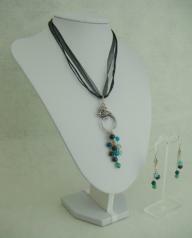 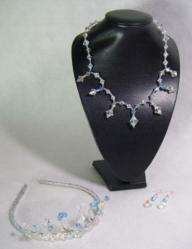 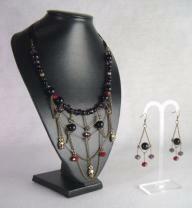 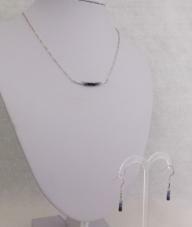 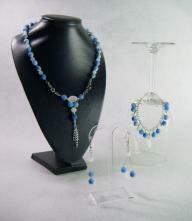 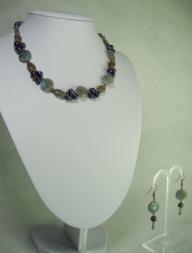 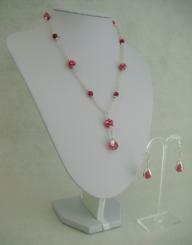 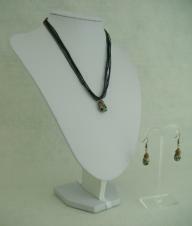 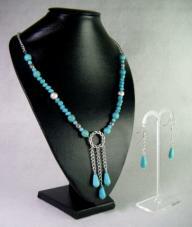 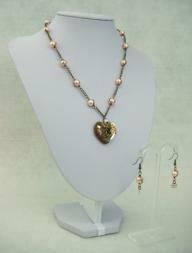 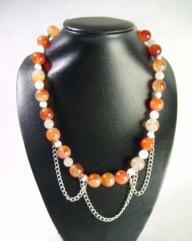 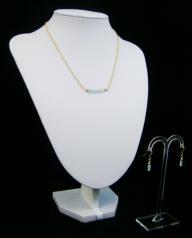 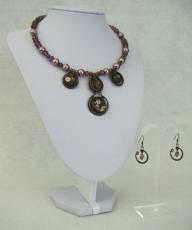 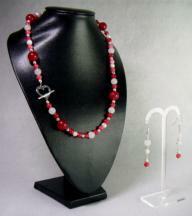 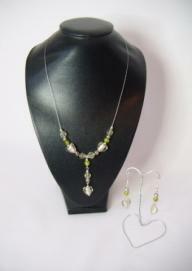 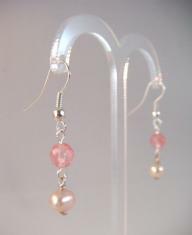 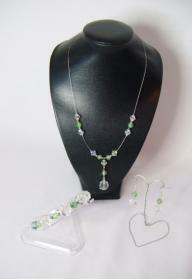 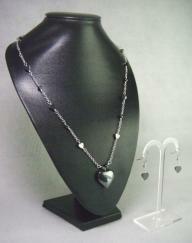 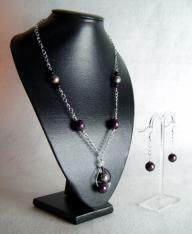 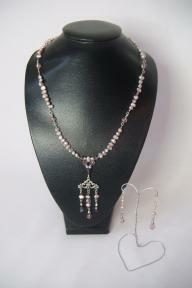 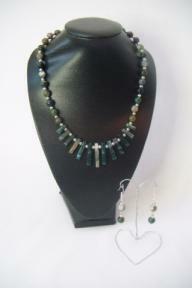 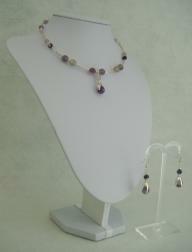 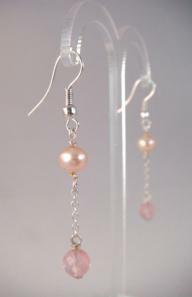 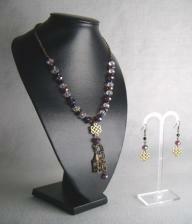 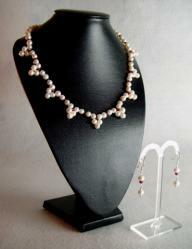 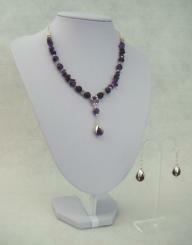 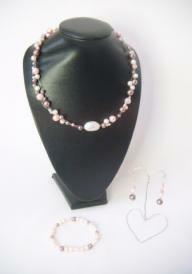 Find beautiful coordinated jewellery sets, featuring necklaces, earrings and/or bracelets. 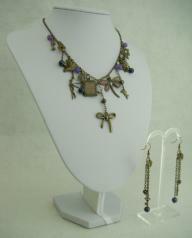 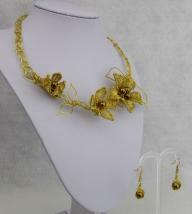 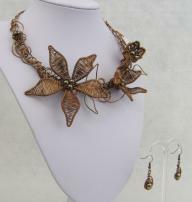 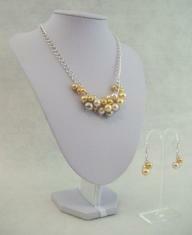 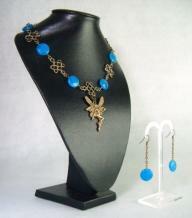 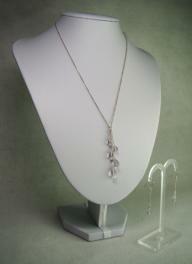 Jasmine: Wirework Floral Collar Necklace and Earring Set, Gold coated.